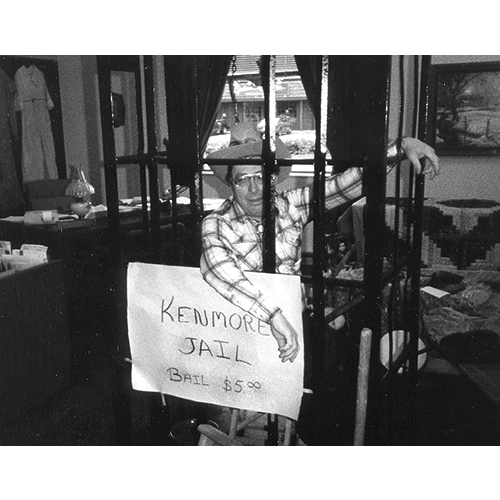 One of the fund-raising features of Kenmore’s annual Frontier Days celebration was the practice of “jailing” prominent citizens and asking their friends to bail them out. Here, Gil Roundy, manager of Shoreline Savings, is looking for some friends to help during the 1983 celebration. Photo courtesy of Priscilla Droge.